Case Result: Government dismissal based upon lack of evidence. Our client was arranged to traffic several thousand pounds of marijuana from Jamaica to Great Britain, not to the United States. The confidential informant tried to claim that our client knew that the marijuana would be imported to the United States. 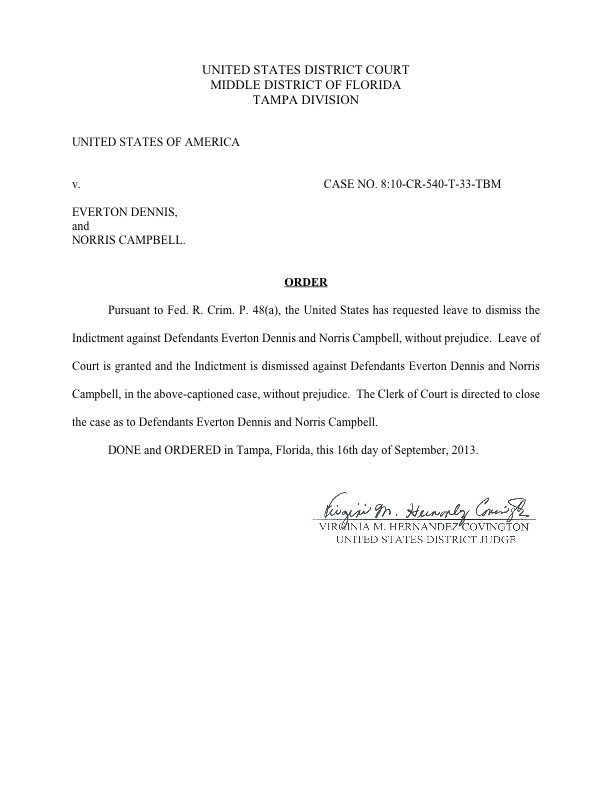 Ultimately, the government could not prove that our client intended to import marijuana into the United States and therefor dismissed the case against our client. 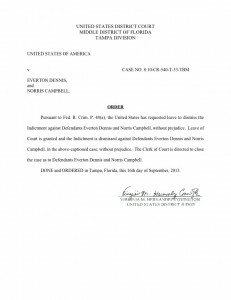 Below is a copy of the actual court document proving that attorney Tim Bower Rodriguez was able to get his client’s case dismissed. Case Result: Government dismissal based upon lack of evidence. Our client was arranged to traffic several thousand pounds of marijuana from Jamaica to Great Britain, not to the United States.